... this is is from acting2 class : what director should know about acting? Broadway tickets at TickCo. Get the best available Mary Poppins tickets as well as tickets to Wicked and Disney's High School Musical tickets. HamletDreams: Click to View or Add Text. We do not offer Advanced Acting II and Advanced Directing (replaced with the senior thesis); contact your advisor. THR121 Fundamentals of Acting or permission of instructor -- requred for THR331! What? Biomechanics? "... Our engineers and biomechanics are particularly skilled in the areas of human tolerance to injury and protection/survivability..." This is not BM I am talking about! Theatre Biomechanics! Biomechanics? Anatoly, why did Mr. M (Meyerhold) use this term? M. composed complex and exact �directories scores� based upon a playful and grotesque musical and rhythmic restructuring of space, text and perspective. Most recent -- for actors -- Grotowski. He sees his role as director as merely a catalyst for other people�s creativity. Grotowski began to develop an actor training system which was more than just preparation for performance but rather a process which was an integral part of the actor�s daily life. 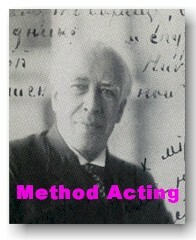 He disputes the "method" approach which people inflicted on Stanislavski�s work--he suggests that there can be no universal prescription for actor � i.e. there can be no method�self-research (work on oneself) and spontaneous self-expression are far more important. his primary aim was not athletic development but the search for �objective� laws and conditions which govern or stimulate individual expression. Body memory is the root of all true expression. It is the body�s own retention of an individual�s life experiences. It is based on the notion that all emotions are linked with certain kinds of muscular activity or physical configurations. Meyer: An actor must posses the capacity for Reflex Excitability. Nobody can become an actor without it. From a sequence of physical positions and situations there arise points of excitation which are informed with some particular emotion. Since the original Biomechanics page got overloaded, I have to start a new Bio-Directory. If you want to see Meyerhold's theoretical foundations, quotations, etc., visit the first page. Also, remember that Move! page on movement and improvisation is affiliated with this field and more so Act page. There are pages for directors: Metrics on applications of Biomechanics for space and time construction on stage and Direct Page. 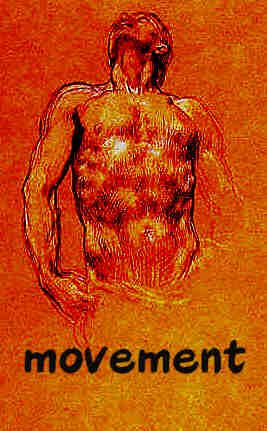 Philosophically the concept is interesting because it belongs to the old tradition of thought that body is a mechanism. Today it becomes even more relevent because our sophisticated machines getting closer to organic structure. Biomechanics could be viewed from both sides: Actor-Machine and Organic Mechanisms. I find this method is useful for training both actors and directors. I never staged anything in "biomechanics" style (I don't believe that such "style" even exists, although I appriciate the efforts of Meyerhold's enthusiasts to experiment with it). Theatrical Biomechanics (BM) is a study of physical action on stage. According to Master, each movement could be broke down into small (atomic) action-beats, very much like in music (Meyerhold is using music theory all the time). There are "bars" of action and each motion is a sentence with the "stop" at end (period). BM asks for construction of each physical statement. It has the same dramatc structure described by Aristotle: the beginning, the middle and the end. AIM (exposition of action) -- ACTION -- Reaction to ACTION (Resolution). Select any small action (Entering the room, Getting up from the chair and try to break into three segments). Fifteen years ago I did a director's showcase in New York (scenes from "Taming of the Shrew") and after the presentation Michael Kahn commented -- "It's too much!" Perhaps so. Although Meyerhold believed that movement is a visual poetry and must be done the same way we write verses. Is a sonnet too much? Too limited in our usage of language? Restricted? But that is what makes it art. Meyerhold thought that not only ballet but every move on stage has to be choreographed. Photo is from their 1991 production of "Overcoat" based on Gogol's but without a single word, movement only. When I met them in 1992 they were under influence of "break dance" ideas, but I or them had no time to explore the theoretical connection between biomechanics and popular culture. First Level of Biomechanics is at biomechanics.vtheatre.net (new), BM II (old). Acting is a criteria of being human. Actor is a first artist. DRAMATIC INSTINCTS. 1928. (see Pasternak's letter to Meyerhold, in Russian). Metaphor, symbol, parabola. Dramatic poetry according to Aristotle. Theatre is a poetry of life. And poets are actors. Imagination is Theatre Model (?) or Theatre Medium. Live Space and Life of Space. "What did in essence Meyerhold see in life, in people? His imagination always led him to archetypes (that's how I should put it). For him there was no simply a character... never! For him only types did exit, more than types, -- they were some deformed reincarnations of the human nature itself... directing he acted as a merciless... psychoanalytic." Michael Chekhov (Book 2). "Child Game. 1. Element of Imitation (`like adults'), and 2. Fantasy. And children are divided on `monkeys' and `make believers,' who compose and create their own world. The same with actors -- `eye-dropping'(borrowing from life) and creating. In grotesque `stealing from life' is allowed because from noticing to creating a figure (image) lays an enormous distance." From Meyerhold's lecture described by Sergey Eisenstein. In Meyerhold's Theatre the hero was actor playing character; actor, creating his stage image in front of the audience (Rule One). Akterskaya Igra (Acting translated literary as "Acting Game"). Difference between Game and Play (we don't call a script -- written drama -- a game). "When we say `to play on stage,' our first instinct is to be transformed. When we strive for transfiguration and when we aim to play, do we have in mind, even for a moment, a question -- to reproduce it exactly as in life?" Grotesque: to take only most expressive. "Not a photography, but a game." (That's why actor must be an artist; and his face must be seen through his mask). "Actor's creativity drastically different from a playwright's or a director's: he creates on public (A.A.), and having his improvisational possibilities influenced of the audience -- his creativity not all could be foreseen (p.ex. rejection by the public -- necessity to overcome it immediately, or to redesign it right away, to adapt and etc.). Contact with the public visibly sensed (breathing, noise etc.). This way Public gives `its lines,' which actor must receive and to make use of it." "Actor immediately reacts through improvisation to all demands of the public." Acting is articulated dramatic sense of the public. Actor is an expression of spectator's nature. The basis of play-makers: "Never there's an equality of personal mood of actor and his character." Actor's exitment comes out of relating to the idea not because of psycho-physiological emotions. Relations Actor--Image (Character) must be open. Public should see actor's transformations. Actor =/= Character is an old tradition of folk theatre. "A parte" (to the public) -- second line of communications with audience. Game (artificial action) asks for a mask. A-effect: face and mask, not face on face. Goldoni and Gozzi. Carnival. Realization of actor's intentions (main task), theatricality. "We never express ourselves directly, always indirectly. In order to express ourselves on stage, we use masks. True actors among us are only those who knows how to create a mask, and after that how to wear it and to use it. The moment you reject the necessity to wear a stage mask or to neglect it, you immediately would lose your connection with the art." Actor's Amplua (Stock Characters) comes out of different stage functions: tragic, love, errors obstacles. Meyerhold: "When I stage the play the most murderous task is casting." "Must see in reality its fantastic (essence)." (Poetry) Actor is not just a poet, but the subject of his poetry. Actor's psychology shouldn't be a character's psychology. Spectator's psychology. Collective psychology. Themes, human sides of social phenomena -- role. "Actor is higher than his character." Mikhoels. Grotesque (Meyerhold) -- eccentricity, theatricality, game; and Epic Theatre (emotionless). Anti-Stanislavsky: two ways. "The more man is civilized, the more he is an actor." Kant. Acting is the art of hiding my true Ego. Child gets used to human mask and he doesn't remember that his adult virtues are only his role which became his second nature. This mask becomes his human face. Acting makes us humans. What's our true face? In rage we "lose our face" and we can see -- Animal. 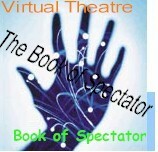 Action, Game, Spectacle are not Theatre yet. Or should we call it "theatre-before-theatre." I don't understand sport, they don't play with me (even through identification with players I am only a spectator). Influencing the game through screaming still leaves me passive. I watch, they play. Improvisation? Sport is an extreme of the Forth-wall concept, and -- non-dramatic. They can have their game without me. We play games. Theatre game? Stage against Public. Yes, against. That's how the game begins. We win if we would make them forget about the division, if they would end up with us -- in show's world. How do we play this game? We play imaginary people (they have to be non-real). We introduce masks, rules, etc. My character isn't me, it doesn't belong to me and therefore could be a good (neutral) media for my communication with the public. Actor's feelings =/= personal (human) emotions. Theatre is a special behavior. It's an illusion that we all are ready to act. Social acting (roles and functions) has a different nature (non-aesthetic). We have a foundation of it build in us which we have to develop into a culture of aesthetic performance. Acting isn't so natural. Children are bad actors. Animal do not act, at all. They play games. At the best. Organization of a game is hidden within the nature of a show. Time after time in acting classes I see my students' frustration when they can't cover the distance between non-theatrical behavior (normal) and "parts" they have to play. They don't understand that there is a distance between stage and public. They are in the house, even when they are on stage. They think that theatre is there; costumes, lights, text." And only when they understand that they are the theatre, the real work begin. Message: 1. Actor --> 2. Character --> 3. Role --> 4. Audience. Moving through live space (stage), actor is a focal point for the audience to experience this space (through the identification). "Reading Stage" (frame, according to Performance theory) could be done only with actor within this space. The stage lighting revolution of the twentieth century visualized this audience energy. The set brings in a concrete definition of the show. Again, see BioMechanics directory and the intro page Act Cycles. How do BM relate to Method? Do they contflict or compliment each other? The last work of Stanislavsky was about the Method of PHYSICAL ACTION (the time when Meyerhold was out of work and later executed, 1940). Theatre Directing Pages: Click to View or Add Links. The Art of the Theatre, �The father of the dramatist was the dancer� (140).